Kainani Otsuji of Kaua`i and Tate Naudascher of Pennsylvania are the 2013 FMPR scholars. As the 2013 Valedictorian of Kaua`i High School, Kainani Otsuji graduated this June with a 4.0 GPA. In the fall, Kainani will be attending the University of California Los Angeles (UCLA) to pursue a degree in business marketing. Upon graduation, Kainani hopes to return to Hawai`i to kick-start a career in the hospitality industry. Her ultimate goal is to become the Director of Sales and Marketing at a local hotel to continue to attract new and old visitors to the islands. “I intend to work very hard as a student at UCLA, returning to Hawai`i upon graduation to put my newly gained knowledge to work in order to enhance our state’s vital and precious tourism industry. I am looking forward to giving back to the people and places that took such good care of me while growing up,” says Otsuji. Tate Naudascher is a third year student at Millersville University and is working toward earning a degree in middle level education with a concentration in science. Having made the Dean’s List four out of five semesters at Millersville Unversity, Tate’s mission upon graduation is to become a science teacher at a Pennsylvania middle school. Her teaching philosophy is to inspire teenagers to love science by using traditional, hands-on and inquiry based methods with the integration of technology. She aspires to motivate students to learn about and appreciate science, as it is becoming an ever-growing field of study for the top career opportunities out there. “As an educator, I hope to motivate students to learn so that they can go on to become successful individuals. Although I cannot control the current state of our educational system, I hope to be an inspiring teacher that breathes life back into our students’ wills to learn. Not only will I be teaching the scientists, biologists and doctors of tomorrow, I will also be teaching the innovators, thinkers, and leaders who will sustain our future,” says Naudascher. FMPR began its scholarship program in 2009, awarding Benjie Baclig and Shelcie Takenouchi, both from Kaua`i. Baclig recently graduated from the Wharton School of the University of Pennsylvania this past year and Takenouchi has received her bachelor of arts and master of arts degrees in public relations from the University of Southern California. She is now working as an Account Executive with Hill + Knowlton Strategies. The 2010 FMPR scholar was Shyanne Matsumoto from Kaua`i, who is attending Oregon State University double majoring in secondary education and chemistry. 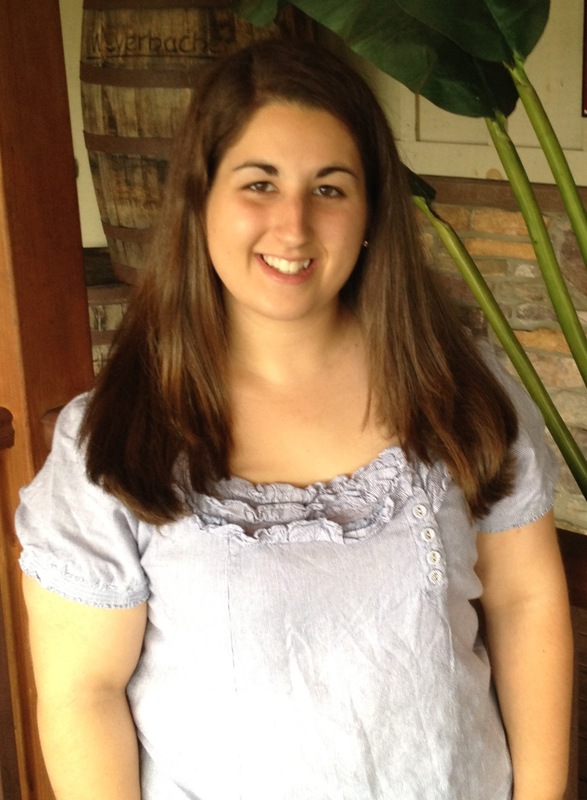 In 2012, FMPR awarded two scholars, Nicole Rapozo of Kaua`i and Louis Herbst of Pennsylvania. Rapozo currently attends Kaua`i Community College and plans to transfer to a mainland college and major in psychology. Herbst has a bachelor’s degree in history and education and recently received his master’s degree in educational leadership from the University of Pennsylvania. FMPR Scholars are chosen based on several key criteria: they are Kaua`i and Pennsylvania residents and students who are pursuing undergraduate or graduate degrees, preferably in communications or public relations; are interested in owning or working for a small business and/or home-based business; engaged in entrepreneurial activities; intend to come home to and pursue their livelihoods in their local communities after undergraduate or graduate school; are engaged in community service and wish to advance their local community after college; have proven intellectual and academic achievements; show integrity of character and an interest in helping others; and have the ability to lead and the motivation to use their talents to the fullest.